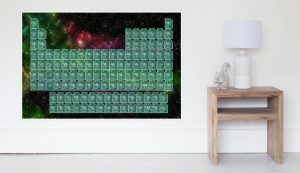 The colorful printable periodic table features a cosmic or space-themed background. 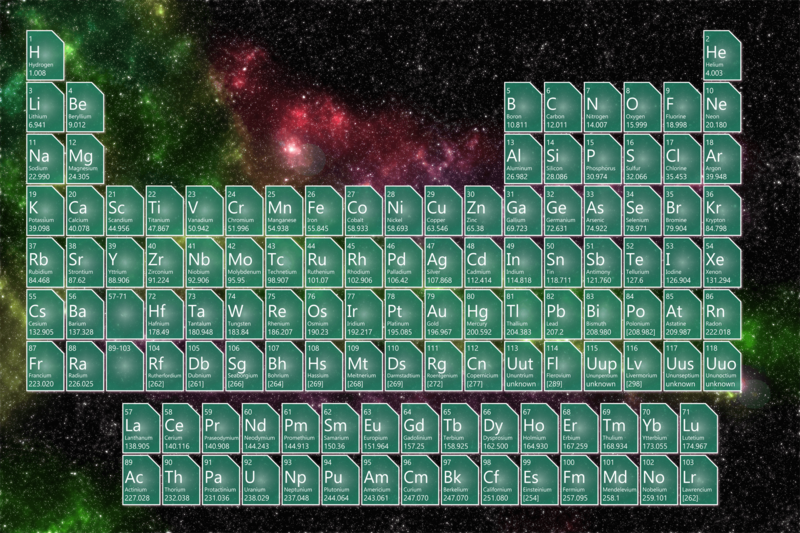 You can use the 1920 x 1280 pixel cosmic background periodic table as a wallpaper for your desktop or mobile device, too. We chose not to color the element groups for this table. This periodic table features element names, symbols, atomic numbers, and atomic weights. The table is new for 2016, using the most recent atomic data. We’ll be adding a PDF of this table. Post a comment if there are other options you’d like to see! Download the periodic table by right-clicking on the image and saving it to your device. For best printing results, choose landscape orientation and “fit to print” to completely fill the page. If you need a larger periodic table, this image is available as a poster on Redbubble in a variety of sizes, up to 47″ x 31″.